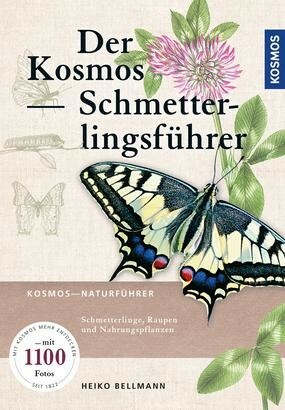 Product information "Der Kosmos Schmetterlingsführer"
Which caterpillar turns into which butterfly? Why do the same caterpillars always sit on a particular plant? What do the pupae look like? With this butterfly guide you can answer these questions year round and at all developmental stages of the butterfly. In more than 1100 colour photos – often up to three photos per plant – he shows all the glory of these gorgeous insects. Who belongs to whom can be found unequivocally and quickly by using the cross links. The indispensable Europe-wide butterfly guide. Heiko Bellmann is a German zoologist. The book author and nature photographer has published entomological and arachnological works, some of which have been issued by Kosmos Publishing House.